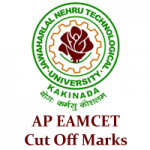 AP EAMCET Cut Off 2019 is announced by the Jawaharlal Nehru Technological University, Kakinada. 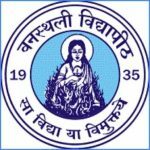 The AP EAMCET is completely known as Andhra Pradesh Engineering, Agriculture and Medical Common Entrance Test and this common entrance test have conducted by the Jawaharlal Nehru Technological University, Kakinada on the behalf of Andhra Pradesh State Council of Higher Education (APSCHE). The AP EAMCET is the state level entrance examination, which is organized to provide engineering, pharmacy & agriculture courses and those applicants are aspiring to get admission in this program, they can fill the application form AP EAMCET through online mode from the official website of Andhra Pradesh State Council of Higher Education. Here, through this content, applicants can get the detailed information of AP EAMCET in which includes AP EAMCET cut off marks. AP EAMCET 2019 Result will be Declared on 1st May 2019. Appearing candidates can get their result through online mode from the official website. AP EAMCET result/rank card must be secured by the candidates as it will be asked at the time of counseling. AP EAMCET 2019 Rank Card is Available on 2nd week of May 2019 through online mode. Candidates are able to download the AP EAMCET 2019 Rank Card after the result announcement. AP EAMCET 2019 Counselling will Started from 3rd week of May 2019. It is consisting of certificate verification, option exercise, allotment, etc. AP EAMCET 2019 Result will be declared on 1st week of May 2019 and those applicants have applied in the examination of AP EAMCET, they can check their result through online mode from the official website. 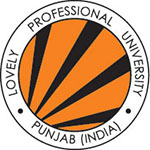 The applicants have to score qualified marks in this examination to get admission. In the month of May, the rank card will provide through authority and the candidates can get it through online mode. After the result announcement, applicants can download the rank card. The counseling procedure of AP EAMCET will conduct through authority for the candidates to provide them admission. 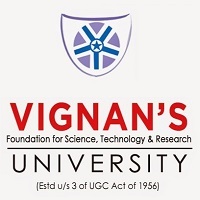 It will conduct in the 2nd week of June and at the time of counseling procedure, the certificate verification, option exercise, allotment, etc will be done. The AP EAMCET qualifying percentage of marks is 25% of the maximum marks, which is considered for ranking marks. There will be no minimum qualifying marks registered by JNTU for those candidates belonging to the reserved category (SC/ST). Some of the candidates will be allotted on the seats for admission only to the extension of seat reservation. The cut-off list marks of AP EAMCET will release by the authority after the announcement of the result and those applicants have scores the cut-off criteria, they will be able to attend the counseling procedure. Those applicants will not have the cut-off criteria; they will not get admission here. Those candidates will be eligible to get admission, only they can participate in the counseling & seat allotment process. If you have any other Questions related to AP EAMCET 2019 Cut Off, you may ask your Queries by commenting below.